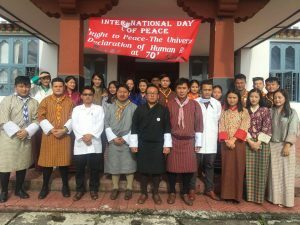 Samtse College of Education observed the International Day of Peace on 21st September 2018, on the theme “The Right to Peace- The Universal Declaration of Human Rights at 70”. The day is declared as a day devoted to strengthening the ideals of peace, both within and among all the nations by United Nations. 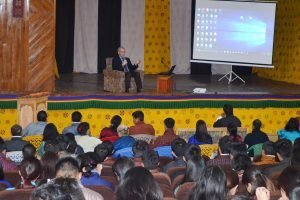 The Asia-Pacific Region, under the umbrella of Messengers of Peace Program, has taken this initiative to encourage and inspire young people and leaders to make this day a commitment day for year-round peace actions. 1. Create a blood network hub(SCoE). 2. 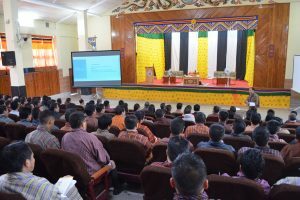 Strengthen and promote relationship with communities and Dzongkhag hospital of Samtse. 3. To instill the feeling of donating blood in times of need. 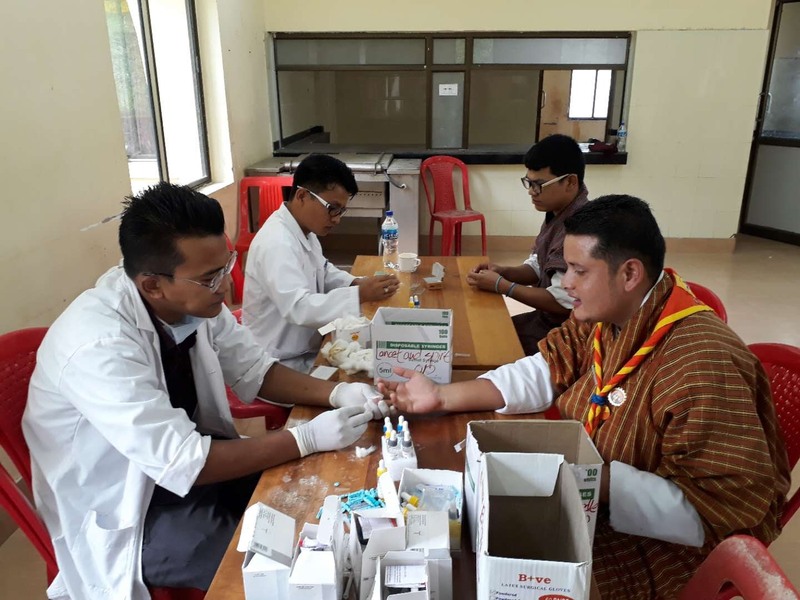 ‘ Donate blood, Save life’. 4. The member staff and student teacher of SCoE will be aware of their blood group.